Meals meals meals. 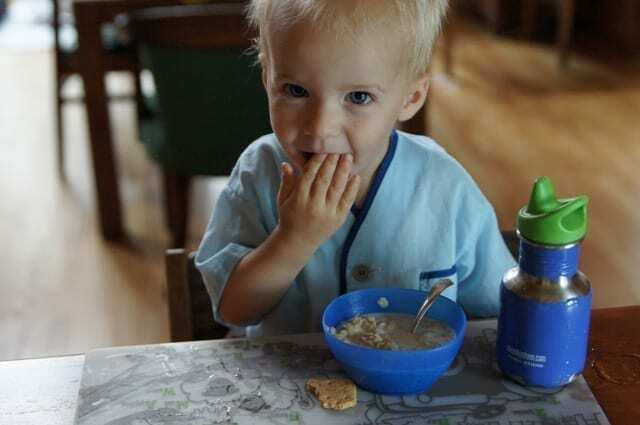 How I do love to cook and eat (when unhindered by little ones). I know some moms are awesome about their kids being super involved with meal prep and while I do make an effort for that by necessity as they’re always with me while I’m prepping food, honestly, I love being alone in the kitchen. 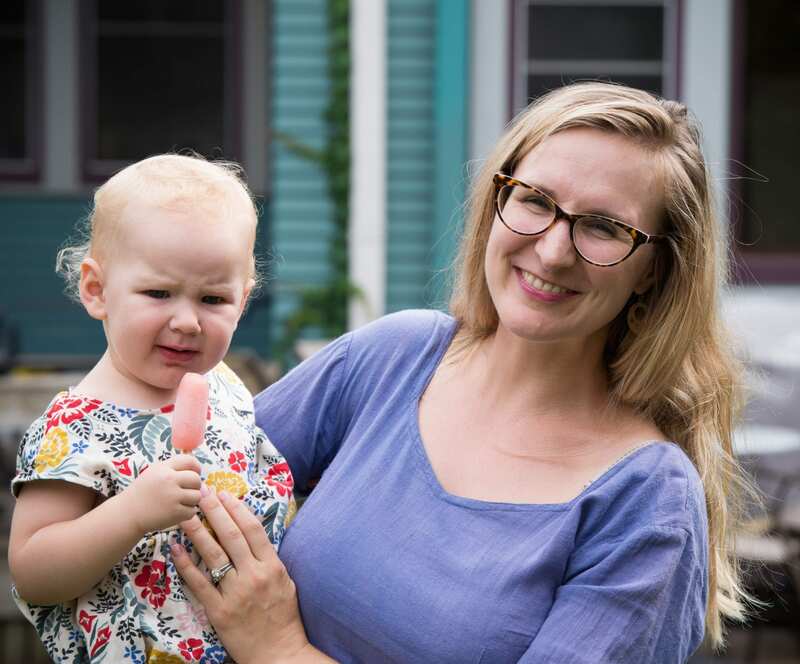 A brief run down of what we ate on our vacation-staycation from a few weeks back. Here’s last year’s peek too! 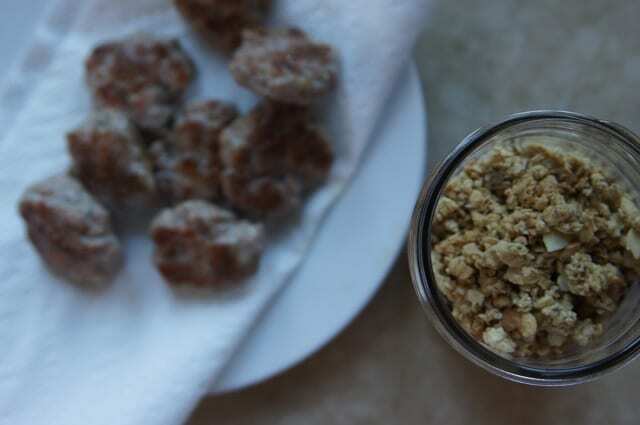 Coop granola & seasoned ground pork for yummmmmmy sausage patties. 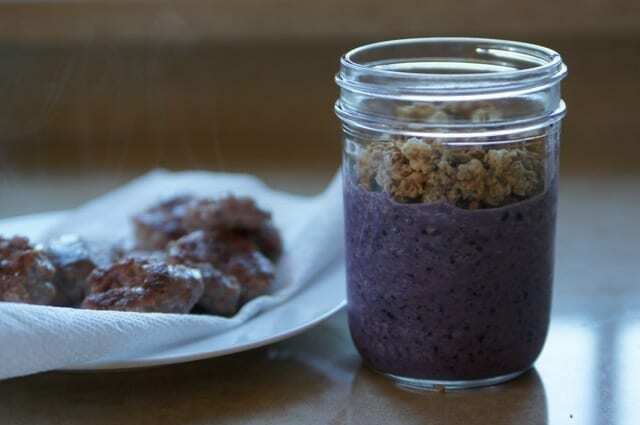 Blueberry & banana & milk smoothie! 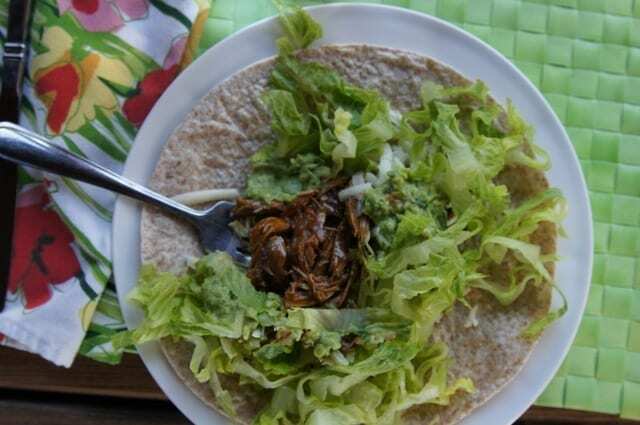 Shredded pork, homemade guac via Alice Waters, chopped romaine, shredded cheddar, and black beans. 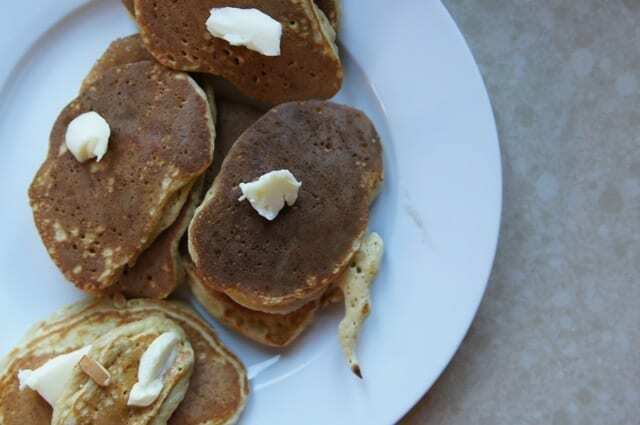 King Arthur’s pancakes with loads of Hope Creamery butter! 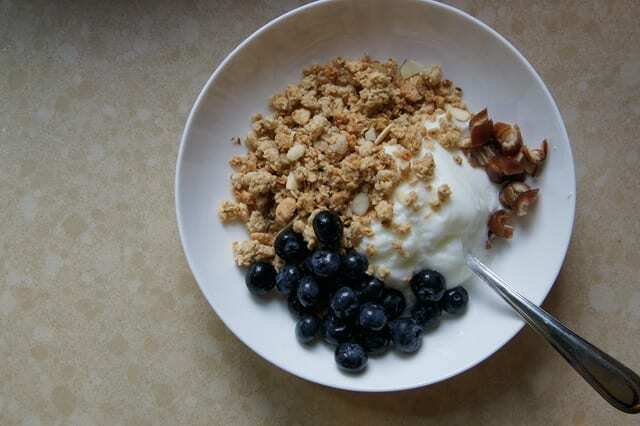 French Almond granola, plain whole milk yogurt, chopped dates, and blue berries! 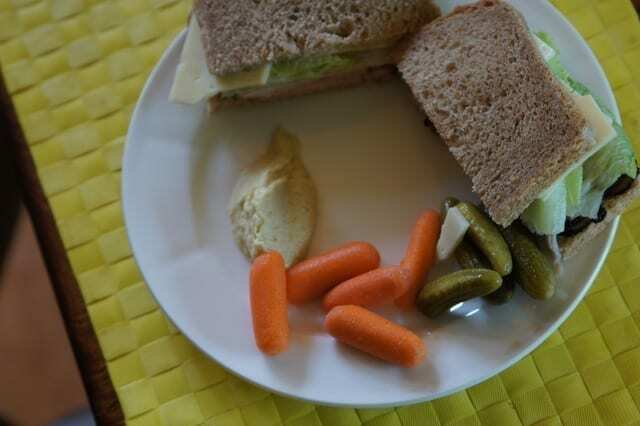 Monster sandwich with roast beef, turkey, ham, two kinds f cheese, onions, lettuce, avocado and lil dippers with hummus. This rhubarb crisp. Never look back. 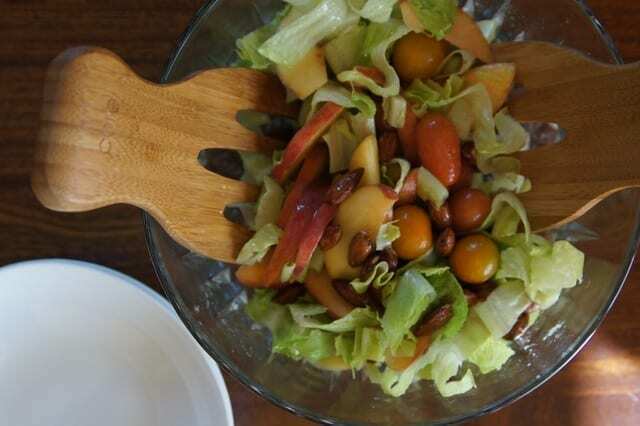 Peaches, cherry tomatoes, almonds, goat cheese, romaine, yup! 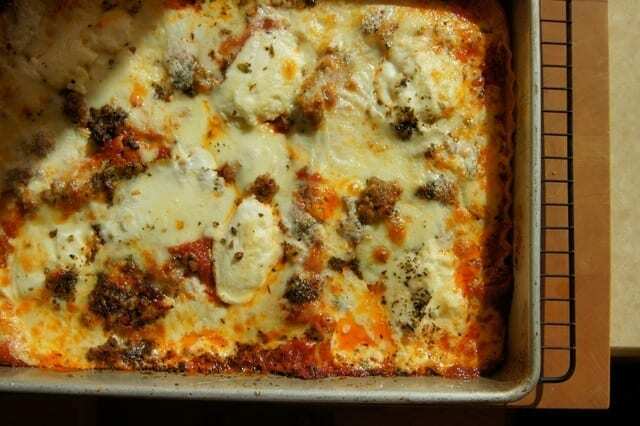 Layers and layers of lasagna with mild spiced ground pork from the coop, lots of cheese, and homemade sauce. Don’t forget the basil and pepper. Another shot of the crisp. I may have doubled the topping. Snooker doodles. What a weird name for a cookie that I devoured in about 25 minutes. Nearly lots of them. Not telling how many. Okay. A lot. Family recipe! Even though I’ve been in NYC all week, feasting like a queen with my brother-in-law the chef and on baby watch for my sister, I’m still revisiting these meals in my mind. I love cooking on vacation. Someone else watching the kids so I can create in the kitchen! It’s a small simply joy for me. Your summer eats? Any fav recipes? The monster sandwiches look amazing!!!!! The crisp sounds so heavenly, too. This summer we’ve been enjoying fresh veggies in Vietnamese summer rolls and falafels + pita bread. 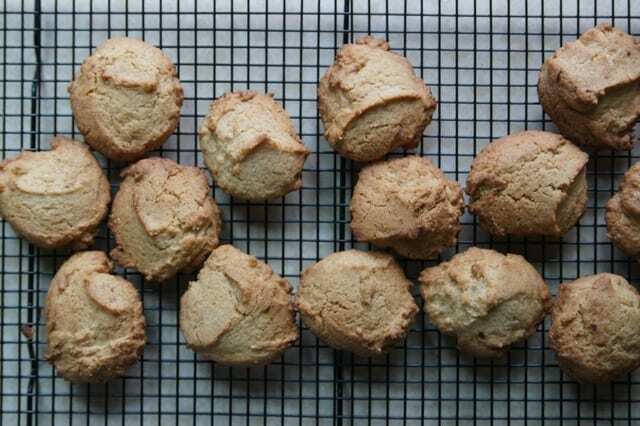 I also put together a Greek Honey Cake for our anniversary a few weeks ago, and decided that it’s now one of my top-favorite non chocolate, easy-to-make desserts. It’s a simple, slightly citrusy cake with walnuts and it’s drenched in a honey syrup. I may have eaten the majority of the cake myself haha. BLTs are easy and doesn’t heat up the kitchen too much. Sometimes I make with toasted bread, other times I roll up in a soft tortilla. Also anything on the grill, again trying not to heat up the kitchen in the summer. 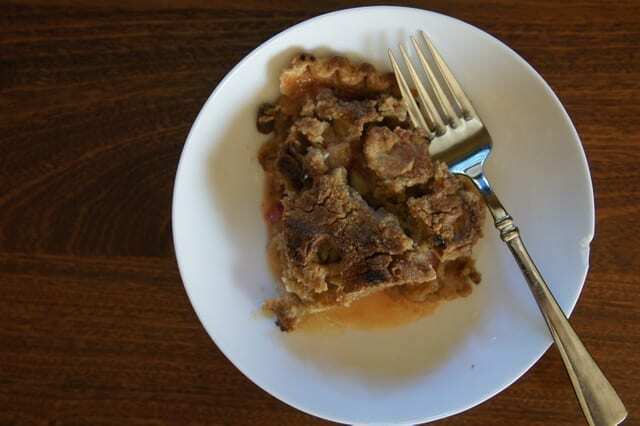 BTW- Rhubarb Crisp looks great! I’ve only ever had rhubarb with strawberries. How does the taste compare to rhubarb without strawberries? 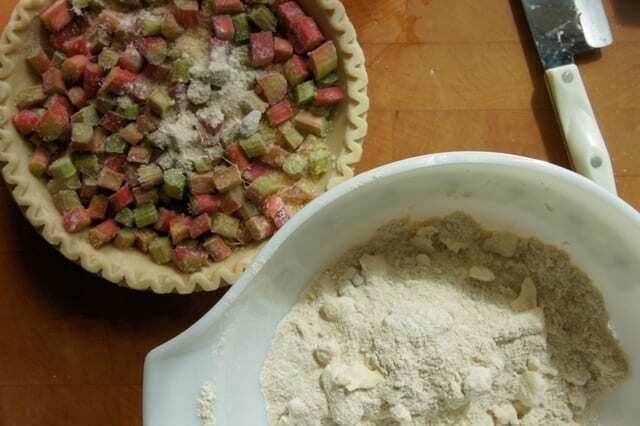 I have never had rhubarb crisp or pie. However, my mom used to make a yummy rhubarb sauce; like apple sauce, and it was pretty bitter. Again, yummy if you like that taste.